At long last, NASA’s Origins, Spectral Interpretation, Resource Identification, Security, Regolith Explorer (OSIRIS-REx) spacecraft has delivered an up close and personal view of asteroid Bennu. This composite image was created from eight shots taken by the craft’s PolyCam camera. Transmitting data back to Earth, researchers used a super-resolution algorithm to combine the photos and give us a never-before-seen look at the asteroid’s diamond shape and rocky terrain. The mission has been spent more than two years traveling toward the carbon-rich asteroid, and is now within just 200 miles (330 kilometers) of its target. “The first images that capture the entire asteroid are used for an important number of calibrations that are fundamental to correctly interpret the results obtained from higher resolution images using different color filters,” said Juan Luis Rizos García, a researcher at the Instituto de Astrofísica de Canarias (IAC) and part of OSIRIS-REx’s team, in a media release. Once the spacecraft arrives at Bennu in December, it will switch to its color-filter MapCam, which will map the asteroid and document its physical characteristics. The camera will also look for alteration in surface minerals that could have been caused by the presence of liquid water. OSIRIS-REx’s obligations go far beyond taking pictures, though. The mission, which embarked on its 1.1 billion-mile (1.77 billion km) round-trip journey in September 2016, will also search for orbiting satellites, or mini-moons, study its light spectrum to determine its composition and ultimately collect samples to bring back to Earth. Scheduled for July 2020, the craft will descend to a pre-selected landing site and use its Touch-And-Go Sample Acquisition Mechanism (TAGSAM) to contact the surface. In the span of just five seconds, the mission will shoot the surface with nitrogen gas and blast it into pieces small enough to take back to Earth. These samples will not only give researchers an untainted look at an asteroid, but they’ll also allow us to study our solar system’s formation and evolution. It’s thought that asteroids have more or less remained the same since they first formed in the early days of our solar system, and that they still house the organic molecules, volatiles and amino acids responsible for creating life on Earth. By probing asteroids, researchers could gain insight into these crucial elements and possibly track how they spread through our ancient solar system. And since previous observations showed that Bennu is rich in carbon, a prominent element in our solar system’s earliest asteroids, it makes for a promising, primitive target. But that’s not the only reason researchers decided to probe Bennu. Every six years, the asteroid comes within just 186,000 miles (300,000 km) of Earth — landing it on NASA’s list of potentially hazardous asteroids. Although the chances are slim, it’s possible that the 1,640-foot-long (500 meters) structure could impact Earth in the late 22nd century. Such an event would be far from catastrophic, but if you have the opportunity, you might as well eye up your competition. OSIRIS-REx’s results will come in only slightly behind those from JAXA’s Hayabusa2 mission, which arrived at asteroid Ryugu in June and will probe it until 2020. Combined with data from OSIRIS-REx, which will study Bennu until 2021, the time to decode asteroids and the history of our solar system could soon be upon us. This set of magnified, cropped images shows NASA’s OSIRIS-REx spacecraft (highlighted in red) as it approaches Earth for its Sept. 22 Earth Gravity Assist. To improve visibility, the images have been inverted so that black and white are reversed. The images were taken Sept. 2, by the Large Binocular Telescope Observatory located on Mount Graham in Arizona. This is the first Earth-based view of the spacecraft since its launch on Sept. 8, 2016. OSIRIS-REx, which was approximately 7 million miles (12 million kilometers) away when the images were taken, appears at approximately 25th magnitude. The Large Binocular Telescope is a pair of 8.4-meter mirrors mounted side by side on the same mount, that can work together to provide resolution equivalent to a 22.7-meter telescope. The telescope typically conducts imaging of more distant objects but took this opportunity to look for OSIRIS-REx with a pair of wide-field cameras (one per mirror) as the spacecraft approaches Earth for its gravity assist. This encounter will change the spacecraft’s trajectory and set it on course to rendezvous with asteroid Bennu, where it will collect a sample of surface material and return it to Earth for study in 2023. The Large Binocular Telescope Observatory is headquartered on the Tucson campus of the University of Arizona. The OSIRIS-REx mission team is collecting other images of the spacecraft taken by observatories and other ground-based telescopes around the world during this period – approximately Sept. 10-23, depending on location and local conditions. Individuals and groups may submit images of the spacecraft via the mission’s website, where instructions to locate the spacecraft in the sky are also available. During an almost two-week search, NASA’s OSIRIS-REx mission team activated the spacecraft’s MapCam imager and scanned part of the surrounding space for elusive Earth-Trojan asteroids — objects that scientists believe may exist in one of the stable regions that co-orbits the sun with Earth. Although no Earth-Trojans were discovered, the spacecraft’s camera operated flawlessly and demonstrated that it could image objects two magnitudes dimmer than originally expected. The spacecraft, currently on its outbound journey to the asteroid Bennu, flew through the center of Earth’s fourth Lagrangian area — a stable region 60 degrees in front of Earth in its orbit where scientists believe asteroids may be trapped, such as asteroid 2010 TK7 discovered by NASA’s Wide-field Infrared Survey Explorer (WISE) satellite in 2010. Though no new asteroids were discovered in the region that was scanned, the spacecraft’s cameras MapCam and PolyCam successfully acquired and imaged Jupiter and several of its moons, as well as Main Belt asteroids. The Earth Trojan survey was designed primarily as an exercise for the mission team to rehearse the hazard search the spacecraft will perform as it approaches its target asteroid Bennu. This search will allow the mission team to avoid any natural satellites that may exist around the asteroid as the spacecraft prepares to collect a sample to return to Earth in 2023 for scientific study. The spacecraft’s MapCam imager, in particular, performed much better than expected during the exercise. Based on the camera’s design specifications, the team anticipated detecting four Main Belt asteroids. In practice, however, the camera was able to detect moving asteroids two magnitudes fainter than expected and imaged a total of 17 Main Belt asteroids. This indicates that the mission will be able to detect possible hazards around Bennu earlier and from a much greater distance that originally planned, further reducing mission risk. Scientists are still analyzing the implications of the search’s results for the potential population of Earth-Trojan asteroids and will publish conclusions after a thorough study of mission data. NASA’s Goddard Space Flight Center in Greenbelt, Maryland, provides overall mission management, systems engineering and the safety and mission assurance for OSIRIS-REx. Dante Lauretta of the University of Arizona, Tucson, is the principal investigator, and the University of Arizona also leads the science team and the mission’s observation planning and processing. Lockheed Martin Space Systems in Denver built the spacecraft and is providing flight operations. Goddard and KinetX Aerospace are responsible for navigating the OSIRIS-REx spacecraft. OSIRIS-REx is the third mission in NASA’s New Frontiers Program. NASA’s Marshall Space Flight Center in Huntsville, Alabama, manages the agency’s New Frontiers Program for its Science Mission Directorate in Washington. On Feb. 9, NASA’s OSIRIS-REx spacecraft began searching for an elusive type of near-Earth object known as Earth-Trojan asteroids. The spacecraft, currently on a two-year outbound journey to the asteroid Bennu, will spend nearly two weeks looking for evidence of these small bodies. Trojan asteroids are trapped inside stable gravity wells called Lagrange points, which precede or follow a planet as it orbits the Sun. The OSIRIS-REx spacecraft is currently traveling through Earth’s fourth Lagrange point (L4), which is approximately 90 million miles (150 million kilometers) away. The mission team will take multiple images of the area with OSIRIS-REx’s MapCam camera in the hope of detecting Earth-Trojan asteroids in the region. While researchers have discovered only one Earth-Trojan to date, asteroid 2010 TK7, thousands of Trojan asteroids have been found accompanying other planets, mostly around Jupiter. Researchers predict that there should be more Trojans sharing Earth’s orbit, but they are hard to find from Earth because they appear near the Sun on the horizon. Each day during the search, OSIRIS-REx’s MapCam will take 135 survey images that will be processed and analyzed by the mission’s imaging team at the University of Arizona, Tuscon. During the survey, MapCam will also image Jupiter, several galaxies, and main belt asteroids 55 Pandora, 47 Aglaja, and 12 Victoria. The search will continue until Feb. 20. The survey will be beneficial even if no new asteroids are discovered as the operations involved in searching for Trojans are similar to those required to search for natural satellites and other hazards around Bennu when the spacecraft approaches it in 2018. Practicing these kinds of mission-critical operations in advance will help OSIRIS-REx once the spacecraft arrives at Bennu. On course to collect specimens from asteroid Bennu after its launch last year, NASA’s OSIRIS-REx spacecraft will search this month for objects sharing an orbit with Earth, a bonus science opportunity to locate possible fragments of the primordial building blocks that formed our home planet. The long-range observations begin Feb. 9 and run through Feb. 20, using one of the probe’s cameras to look for asteroids embedded in swarms scientists believe lurk ahead of and behind Earth in its orbit around the Sun. Named Earth-Trojans, the objects likely group in clouds at Sun-Earth Lagrange points, where the combined pull of gravity from the bodies would allow asteroids to orbit in lock-step with Earth. The so-called L4 and L5 Lagrange points lead and follow Earth by 60 degrees in its path around the Sun. The same positions in front of and behind Jupiter harbour thousands of Trojan asteroids, and smaller Trojan swarms have been discovered near Venus, Mars, Uranus and Neptune. 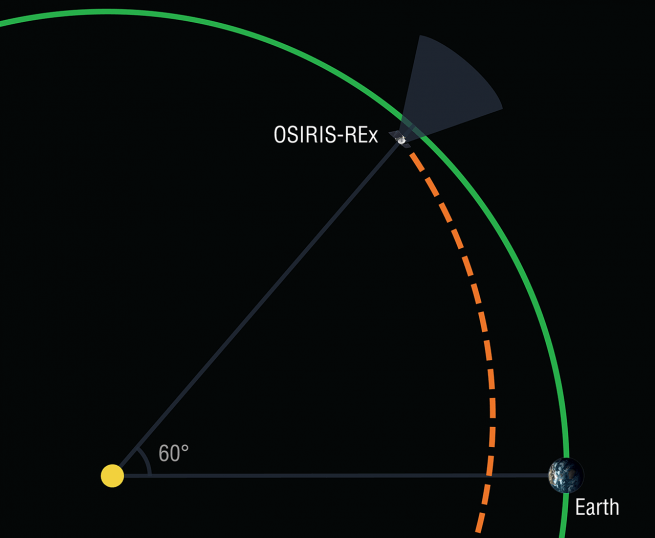 It turns out OSIRIS-REx is about to pass through the Sun-Earth L4 Lagrange point, and managers decided to scan the region where Earth-Trojans might be located to see what the spacecraft can find. Now located nearly 74 million miles (119 million kilometres) from Earth, OSIRIS-REx is on a seven year-journey to asteroid Bennu and back, charged with gathering rock samples from the mountain-sized object and delivering them to scientists for examination inside laboratories on the ground. Since its launch Sept. 8, 2016, OSIRIS-REx has switched on all of its science instruments and performed a major course correction maneuver to aim for a flyby of Earth this Sept. 22. Earth’s gravity will slingshot the spacecraft toward Bennu. A rendering of Bennu, the target asteroid of the UA-led OSIRIS-REx mission. Bringing back a sample from Bennu will help scientists better understand how the solar system, including Earth, was formed. No image credit. The Dec. 28 burn changed OSIRIS-REx’s speed by 964 mph (431 metres per second) and consumed a quarter of the probe’s propellant supply. 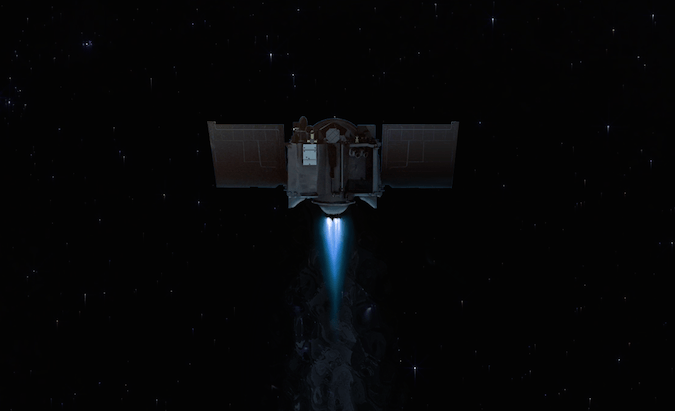 The maneuver was the largest of the mission until the Lockheed Martin-built spacecraft’s arrival burn at Bennu in August 2018. Another small “clean-up” thruster firing Jan. 18 further tweaked OSIRIS-REx’s trajectory, and the spacecraft switched over to its high-power antenna Jan. 25 to beam data back to Earth at faster rates. The milestones clear the way for the mission’s first science campaign next week. Only one of the elusive Earth-Trojans has been detected to date. Astronomers using NASA’s WISE infrared telescope confirmed the discovery of an asteroid in 2011 that fit the definition of an Earth-Trojan. Asteroid 2010 TK7 is about 1,000 feet (300 metres) in diameter, and experts predict its extreme orbit, which takes it far above and below the plane of the planets, will be stable for at least the next several thousand years. Scientists consider 2010 TK7 an outlier of a large group of asteroids sharing Earth’s orbit, some of which may have been there since the solar system formed more than 4.5 billion years ago. 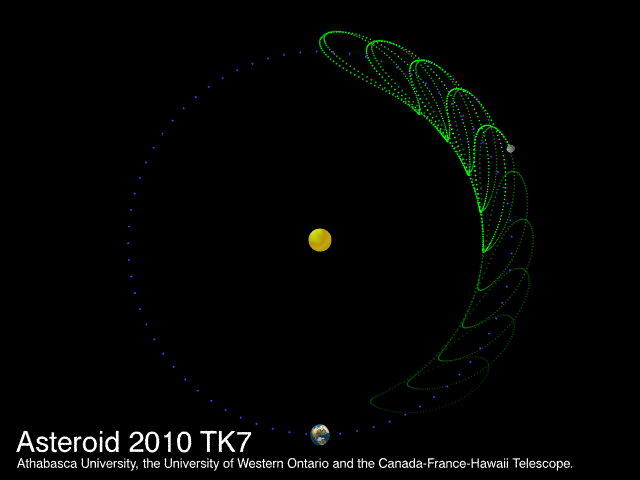 Earth-Trojans are difficult to find from the ground because they are usually in daylight, and the WISE spacecraft orbiting Earth detected 2010 TK7 because its unique orbit oscillates farther from the sun’s position in the sky than most members of the group. Current ground-based surveys are only sensitive to Earth-Trojan asteroids bigger than about 3,000 feet, or approximately 1 kilometre, said Carl Hergenrother, an OSIRIS-REx staff scientist at the University of Arizona. By mid-February, OSIRIS-REx will be “an ideal spot to undertake a survey,” Lauretta wrote. 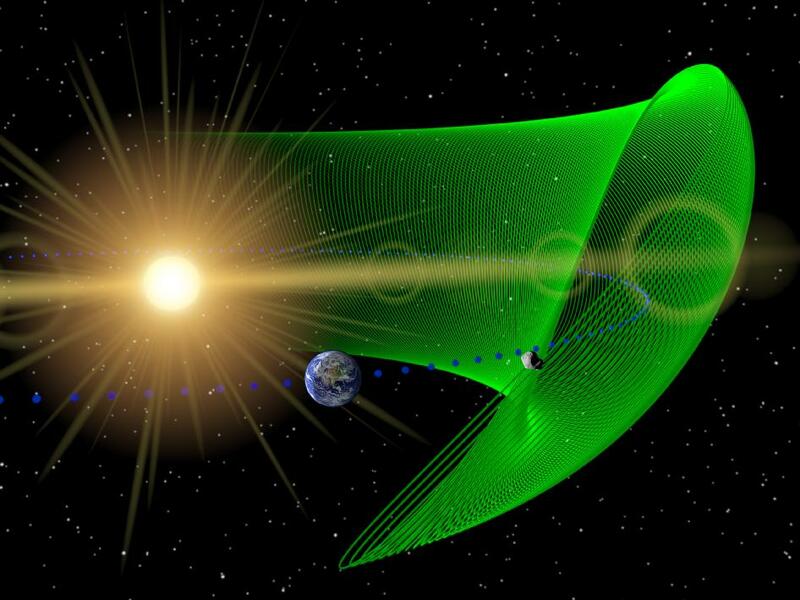 Between Feb. 9 and Feb. 20, the spacecraft’s mapping camera will take 145 pictures per day of the volume of space where Earth-Trojans are expected to reside, according to Lauretta. “It’s a big cloud, and there should be material there,” Hergenrother said at a Jan. 12 meeting of NASA’s Small Bodies Assessment Group. “We should be able to detect stuff down to 100 metres (330 feet), and possibly even smaller, depending on the performance of our cameas, and the albedo (reflectivity). “If we don’t find anything, it either means there’s a lot less objects out there than we were thinking, or they’re a lot smaller,” Hergenrother said. While Lauretta said there is a scientific motivation for the Earth-Trojan search, the top reason for the campaign is to practice techniques the OSIRIS-REx science team plans to employ once the spacecraft arrives at Bennu. On approach to Bennu, the probe’s cameras will look near the asteroid to hunt for tiny miniature moons as small as 4 inches (10 centimetres). Navigators want to know the location of any debris around Bennu to prevent a crash with the spacecraft. Jupiter and several large distant asteroids will be imaged by OSIRIS-REx’s camera when it scans for Earth-Trojans. The images will help the ground team rehearse the complex real-time in-space navigation the mission requires during the rendezvous with Bennu, along with the identification of moving targets mimicking the behaviour of potential mini-moons surrounding the asteroid. Although the scientific objectives are secondary, Lauretta said his team is excited about the prospect of making a discovery so early in the mission. “We’ll clearly be able to set an upper limit on what’s out there because we know what we could detect if it was there,” Lauretta said at the Jan. 12 science meeting. OSIRIS-REx could also discover an asteroid from another family that just happens to pass through the camera’s field-of-view, Lauretta said. But scientists will pin down the orbit of any object OSIRIS-REx detects, and an Earth-Trojan asteroid locked in a stable orbit could be evidence of a larger cloud of mini-worlds hidden from view. After successfully launching in September of last year (2016), OSIRIS-REx (Origins, Spectral Interpretation, Resource Identification, Security, Regolith Explorer) has been given a new task – to hunt for trojan asteroids that may pose a danger to Earth. Trojan asteroids are rocky or metallic objects that orbit in stable areas called Lagrange points. Specifically, they are located 60 degrees ahead or behind the host body in its orbit around the Sun: L-4 and L-5. Asteroids in these gravity pockets can remain in the same orbit undisturbed for centuries. Six planets are known to have these asteroids, with Jupiter’s being the most famous. So far, only one Earth trojan has been discovered, but it is likely there are dozens, possibly hundreds, more of these celestial objects. The danger from these types of asteroids is that because of their orientation between the Earth and the Sun, they are very difficult to locate and track. According to a report appearing on Nature World News, some scientists think that a Mars-sized trojan object collided with Earth, creating a cloud of debris that eventually formed the Moon. This collision is also thought to potentially be responsible for Earth’s over-sized core. In order to effectively detect trojans, you need to get the observing device away from Earth. OSIRIS-REx does just this as it makes its way to Bennu, a primitive asteroid whose 1.2-year orbit brings it within Earth’s path. OSIRIS-REx will use its MapCam to look in the areas where these objects are most likely to reside and catalog their locations. This is the same instrument scientists plan to use at Bennu to look for small satellite objects around the asteroid. Here, the MapCam will pull double duty as the two processes are very similar. The primary mission of the spacecraft is to study Bennu and return a sample back to Earth. The mission will arrive at the asteroid in 2018. According to SpaceFlight 101, using a device called TAGSAM (Touch-And-Go-Sample Acquisition Mechanism), OSIRIS-REx will collect a small sample and then bounce off the surface of the asteroid. The spacecraft is then scheduled to return that sample to Earth in 2023. Detailed studies of the asteroid will also help determine if Bennu is a potential threat to Earth as some orbital models show a possible impact occurring sometime next century. OSIRIS-REx was sent on its way toward Bennu via a United Launch Alliance Atlas V 411 rocket on Sept. 8, 2016, from Cape Canaveral Air Force Station Space Launch Complex 41 in Florida. 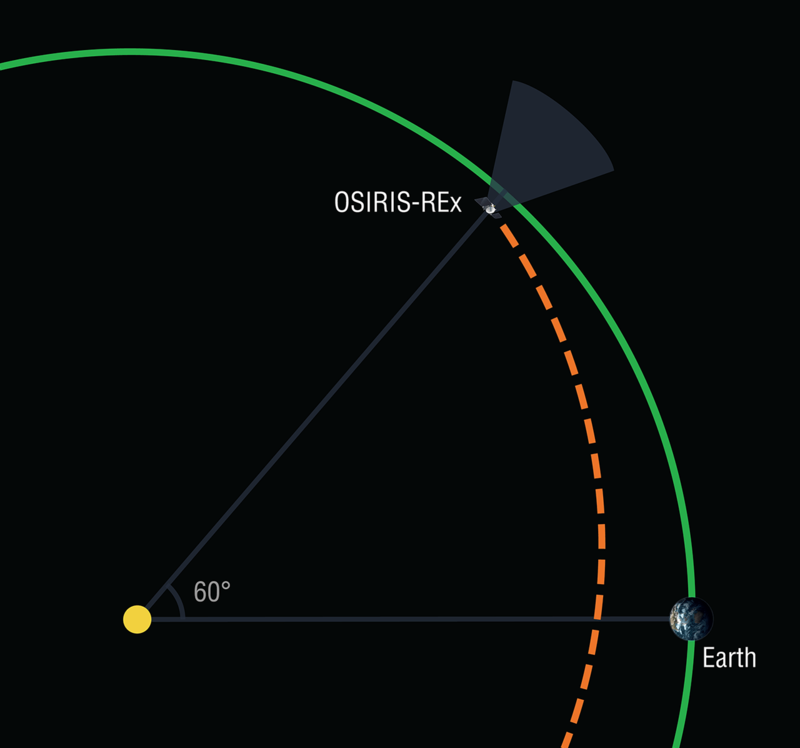 In February 2017, the OSIRIS-REx spacecraft will undertake a search for Earth-Trojan asteroids while on its outbound journey to the asteroid Bennu. Earth Trojans are asteroids that share an orbit with Earth while remaining near a stable point 60 degrees in front of or behind the planet. Credits: University of Arizona/Heather Roper. NASA’s first mission to return a sample of an asteroid to Earth will be multitasking during its two-year outbound cruise to the asteroid Bennu. On Feb. 9-20, the OSIRIS-REx (Origins, Spectral Interpretation, Resource Identification, and Security– Regolith Explorer) spacecraft will activate its onboard camera suite and commence a search for elusive “Trojan” asteroids. Trojans are asteroids that are constant companions to planets in our solar system as they orbit the sun, remaining near a stable point 60 degrees in front of or behind the planet. Because they constantly lead or follow in the same orbit, they will never collide with their companion planet. There are six planets in our solar system with known Trojan asteroids—Jupiter, Neptune, Mars, Venus, Uranus and, yes, even Earth. The Earth Trojan is elusive; to date, scientists have only discovered one Earth trojan asteroid — 2010 TK7 — found by NASA’s NEOWISE project in 2010. Yet there are more than 6,000 known Trojans that are co-orbiting the sun with the gas giant Jupiter. Scientists predict that there should be more Trojans sharing Earth’s orbit, but these asteroids are difficult to detect from Earth because they appear close to the sun from Earth’s point of view. In mid-February 2017, however, the OSIRIS-REx spacecraft will be positioned in an ideal spot to undertake a survey. Over 12 days, the OSIRIS-REx Earth-Trojan asteroid search will employ the spacecraft’s MapCam imager to methodically scan the space where Earth Trojans are expected to exist. Many of these observations will closely resemble MapCam’s planned activities during its upcoming search for satellites of asteroid Bennu, so the Trojan asteroid search serves as an early rehearsal for the mission’s primary science operations. The OSIRIS-REx spacecraft is currently on a seven-year journey to rendezvous with, study, and bring a sample of Bennu to Earth. This sample of a primitive asteroid will help scientists understand the formation of our solar system more than 4.5 billion years ago. 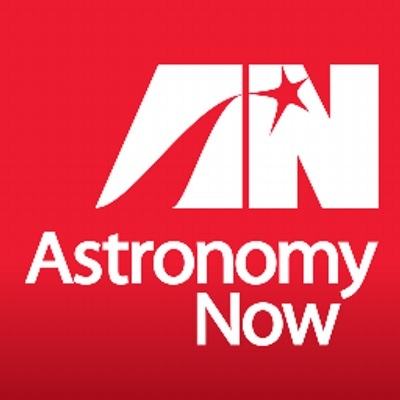 How do you study the topography of an asteroid millions of miles away? Map it with a robotic cartographer! NASA’s Origins, Spectral Interpretation, Resource Identification, Security-Regolith Explorer, or OSIRIS-REx, will launch in September 2016 and travel to a near-Earth asteroid known as Bennu to harvest a sample of surface material and return it to Earth for study. But before the science team can select a sample site, it needs to know a little something about the asteroid’s topography. The OSIRIS-REx Laser Altimeter, or OLA, is provided by the Canadian Space Agency and will be used to create three-dimensional global topographic maps of Bennu and local maps of candidate sample sites. Think of your favorite computer animated movie. The characters and environment are colored and shaded in such a way that they look almost lifelike. But all of those details need a 3-D shape in order to take form. The same is true for the detailed data gathered by OSIRIS-REx’s instruments. To create these 3-D models, OLA uses LIDAR, which stands for light detection and ranging. LIDAR is similar to radar, but uses light instead of radio waves to measure distance. OLA will emit infrared laser pulses toward the surface of Bennu as the spacecraft moves around the asteroid. The laser pulses reflect back from the surface to a detector. The team will measure the time difference between outgoing and incoming pulses to calculate the distance between the spacecraft and Bennu. LIDAR has been used on prior spacecraft, including the Mars Global Surveyor and the Lunar Reconnaissance Orbiter. Those laser altimeters are fixed to the spacecraft, meaning that the laser pulse will only travel in the direction that the spacecraft is pointing. This can limit the coverage and spatial resolution of their topographic maps. So, while they have generated a vast amount of data, fixed LIDAR are not ideal for missions where the data must be gathered quickly. The OSIRIS-REx Laser Altimeter (OLA) will provide a three-dimenional map of asteroid Bennu’s shape, which will allow scientists to understand the context of the asteroid’s geography and the sample location. OLA is provided by the Canadian Space Agency in exchange for Canadian ownership of a portion of the returned asteroid sample. This video is public domain and can be downloaded from the Scientific Visualization Studio. OLA is expected to thoroughly map Bennu with about 6 billion measurements of the asteroid’s surface, which measures about one-third of a mile (one-half kilometer) in diameter. In comparison, the laser altimeter on the Lunar Reconnaissance Orbiter has received more than 6.8 billion measurements of the surface of the moon, which has a diameter of about 2,159 miles (3,500 kilometers). The fundamental data of the asteroid’s shape and topography that OLA will provide are essential for several key phases during the mission. The science team will use the high-resolution topographic data, in conjunction with camera images and on-board navigation algorithms, to navigate around the asteroid and guide the spacecraft to the selected sample site. The three-dimensional maps will also give geologic context to the returned asteroid sample. Just as geologists on Earth document where they collect their samples in the field on topographic maps, OLA will allow the science team to take their measurements and observations of the collected sample and apply them to their broader understanding of Bennu. OLA will also allow the science team to study how regolith, or loose surface material, behaves in a microgravity environment. Scientists have done similar studies on the moon and Mars, but unlike Bennu, these bodies have relatively high gravity. This understanding is especially important for future asteroid missions. Scientists will need to know how regolith behaves in micro-gravity environments if we want to send astronauts to an asteroid someday to collect samples. Goddard will provide overall mission management, systems engineering and safety and mission assurance for OSIRIS-REx. Dante Lauretta is the mission’s principal investigator at the University of Arizona. Lockheed Martin Space Systems in Denver built the spacecraft. OSIRIS-REx is the third mission in NASA’s New Frontiers Program. NASA’s Marshall Space Flight Center in Huntsville, Alabama, manages New Frontiers for the agency’s Science Mission Directorate in Washington. NASA’s Goddard Space Flight Center in Greenbelt, Md. NASA’s OSIRIS-REx spacecraft will launch September 2016 and travel to a near-Earth asteroid known as Bennu to harvest a sample of surface material and return it to Earth for study. The science team will be looking for something special. Ideally, the sample will come from a region in which the building blocks of life may be found. To identify these regions on Bennu, the Origins, Spectral Interpretation, Resource Identification, Security-Regolith Explorer (OSIRIS-REx) team equipped the spacecraft with an instrument that will measure the spectral signatures of Bennu’s mineralogical and molecular components. The OSIRIS-REx Visible and Infrared Spectrometer, or OVIRS, will look at the asteroid’s spectral signature to detect organics and other minerals. Known as OVIRS (short for the OSIRIS-REx Visible and Infrared Spectrometer), the instrument will measure visible and near-infrared light reflected and emitted from the asteroid and split the light into its component wavelengths, much like a prism that splits sunlight into a rainbow. OVIRS will work in tandem with another OSIRIS-REx instrument — the Thermal Emission Spectrometer, or OTES. While OVIRS maps the asteroid in the visible and near infrared, OTES picks up in the thermal infrared. This allows the science team to map the entire asteroid over a range of wavelengths that are most interesting to scientists searching for organics and water, and help them to select the best site for retrieving a sample. In the visible and infrared spectrum, minerals and other materials have unique signatures like fingerprints. These fingerprints allow scientists to identify various organic materials, as well as carbonates, silicates and absorbed water, on the surface of the asteroid. The data returned by OVIRS and OTES will actually allow scientists to make a map of the relative abundance of various materials across Bennu’s surface. “I can’t think of a spectral payload that has been quite this comprehensive before,” said Dennis Reuter, OVIRS instrument scientist at NASA’s Goddard Space Flight Center in Greenbelt, Maryland. OVIRS will be active during key phases throughout the mission. As the OSIRIS-REx spacecraft approaches Bennu, OVIRS will view one entire hemisphere at a time to measure how the spectrum changes as the asteroid rotates, allowing scientists to compare ground-based observations to those from the spacecraft. Once at the asteroid, OVIRS will gather spectral data and create detailed maps of the surface and help in the selection of a sample site. Using information gathered by OVIRS and OTES from the visible to the thermal infrared, the science team will also study the Yarkovsky Effect, or how Bennu’s orbit is affected by surface heating and cooling throughout its day. The asteroid is warmed by sunlight and re-emits thermal radiation in different directions as it rotates. This asymmetric thermal emission gives Bennu a small but steady push, thus changing its orbit over time. Understanding this effect will help scientists study Bennu’s orbital path, improve our understanding of the Yarkovsky effect, and improve our predictions of its influence on the orbits of other asteroids. But despite its capabilities to perform complex science, OVIRS is surprisingly inexpensive and compact in its design. The entire spectrometer operates at 10 watts, requiring less power than a standard household light bulb. Unlike most spectrometers, OVIRS has no moving parts, reducing the risk of a malfunction. Drastic temperature changes in space will put the instrument’s robust design to the test. OVIRS is a cryogenic instrument, meaning that it must be at very low temperatures to produce the best data. Generally, it doesn’t take much for something to stay cool in space. That is, until it comes in contact with direct sunlight. Heat inside OVIRS would increase the amount of thermal radiation and scattered light, interfering with the infrared data. To avoid this risk, the scientists anodized the spectrometer’s interior coating. Anodizing increases a metal’s resistance to corrosion and wear. Anodized coatings can also help reduce scattered light, lowering the risk of compromising OVIRS’ observations. The team also had to plan for another major threat: water. The scientists will search for traces of water when they scout the surface for a sample site. Because the team will be searching for tiny water levels on Bennu’s surface, any water inside OVIRS would skew the results. 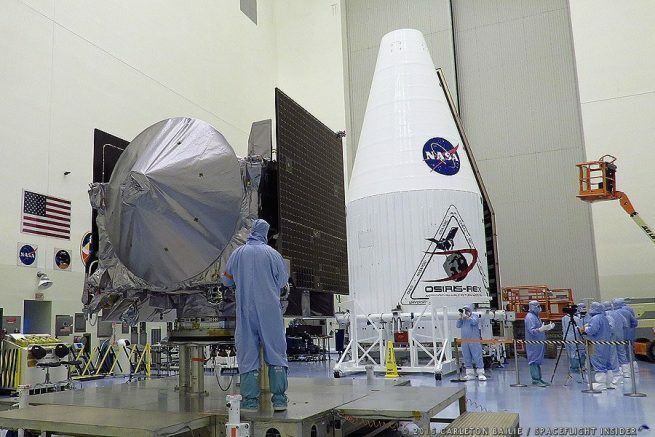 And while the scientists don’t have to worry about a torrential downpour in space, the OSIRIS-REx spacecraft may accumulate moisture while resting on its launch pad in Florida’s humid environment. Immediately after launch, the team will turn on heaters on the instrument to bake off any water. The heat will not be intense enough to cause any damage to OVIRS, and the team will turn the heaters off once all of the water has evaporated. OVIRS will be essential for helping the team choose the best sample site. Its data and maps will give the scientists a picture of what is present on Bennu’s surface. In addition to OVIRS, Goddard will provide overall mission management, systems engineering and safety and mission assurance for OSIRIS-REx. Dante Lauretta is the mission’s principal investigator at the University of Arizona. Lockheed Martin Space Systems in Denver built the spacecraft. OSIRIS-REx is the third mission in NASA’s New Frontiers Program. NASA’s Marshall Space Flight Center in Huntsville, Alabama, manages New Frontiers for the agency’s Science Mission Directorate in Washington.